Offshore Acres is a private facility, although we do allow outside coaches, farrier and vet. 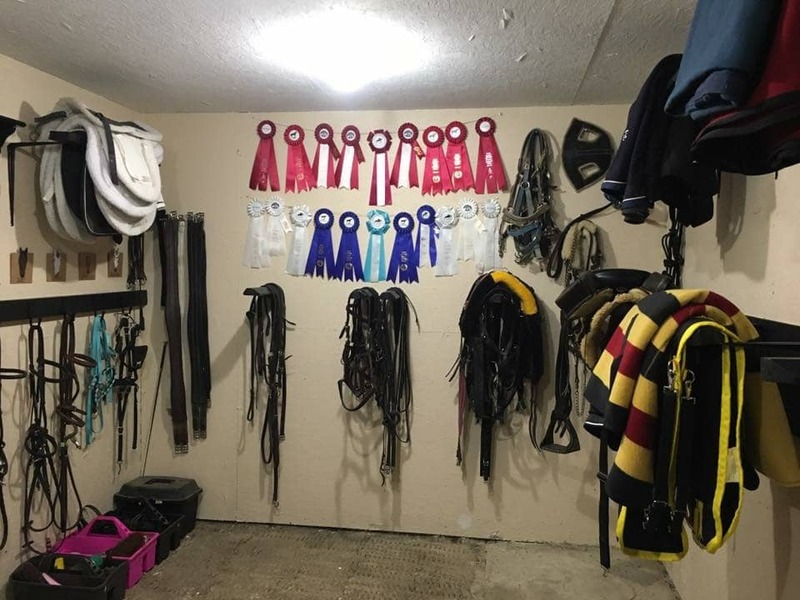 We have a scheduled farrier, as well as routine veterinary, chiropractic and equine massage. 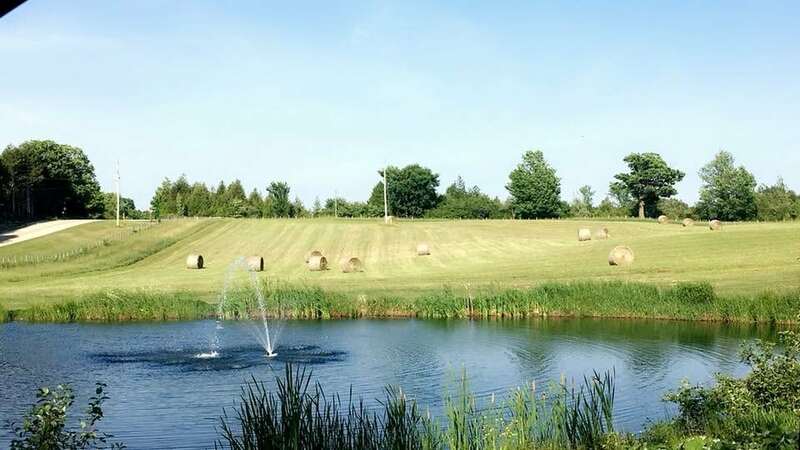 Offshore Acres resides on a 30 acre parcel of land. Around 10 acres of that is paddock turnout, and the majority of the remainder is harvestable hay field. 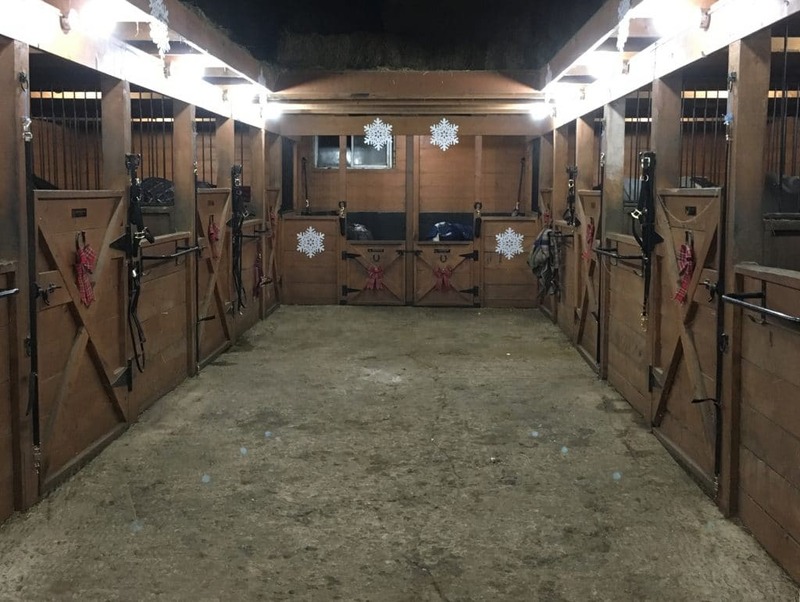 We have a nice, well-ventilated and welcoming stable, with 8 large box stalls and two mini stalls. 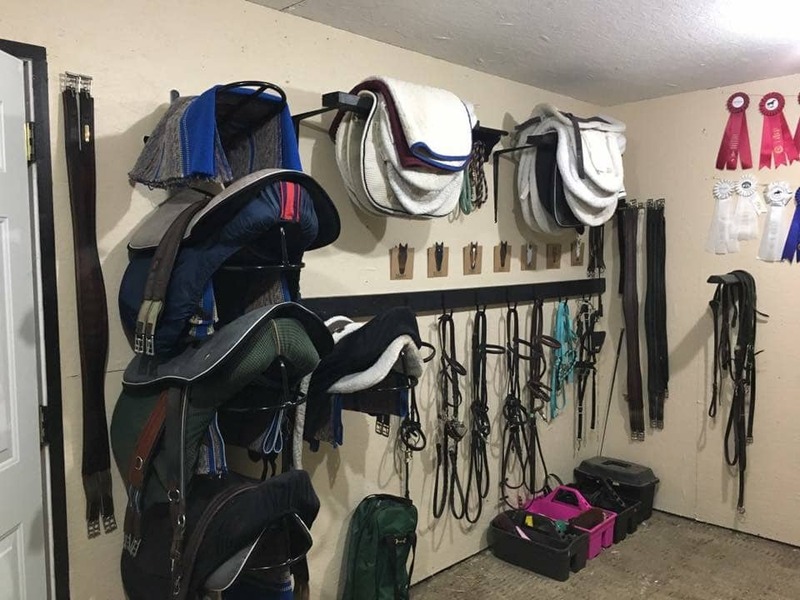 We have a large heated tack room and plenty of storage for extra equipment. We have a large, 220’ X 80’ fully fenced outdoor sand ring with highly researched footing. There are around 15 beautifully painted and decorative jumps. Our course is updated every few weeks and the arena is harrowed weekly. There is a 60 foot round pen close to the barn, as well as many, many trails all easily accessible to our farm. There is a small private lake a short ride away, and we have taken the horses for a little swim on a few occasions as well! Our plans for OA are endless! In the near future we plan on installing an indoor riding arena to allow riding all year-round. 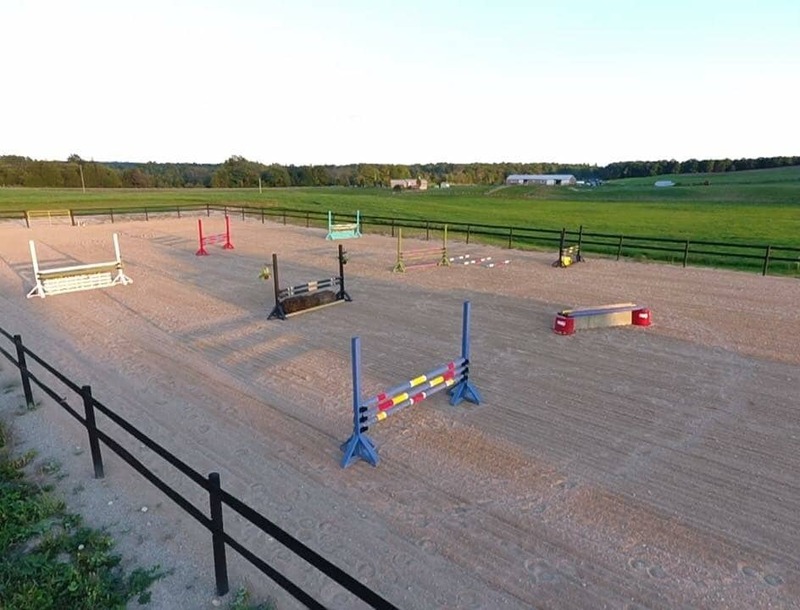 Early in the spring we will be building cross-country jumps throughout our hay field for some XC schooling. Hunter-style jumps, boxes and brush will be built to add versatility to our courses. A grass ring will be constructed next to the sand ring in spring 2019, giving us two, large outdoor riding rings. 1-2 smaller paddocks will be created in 2019 for lay-ups, herd introduction and possibly for horses that need a smaller group for turnout. This will be limited so if this is of interest to you, please let us know! There is a possibility of more being created in 2020 as well. Our barn will be under renovations in 2019. Currently, a fully functional work shop is adjacent to the stables. This will be removed, the stabling area will be opened up and more stalls will be added. 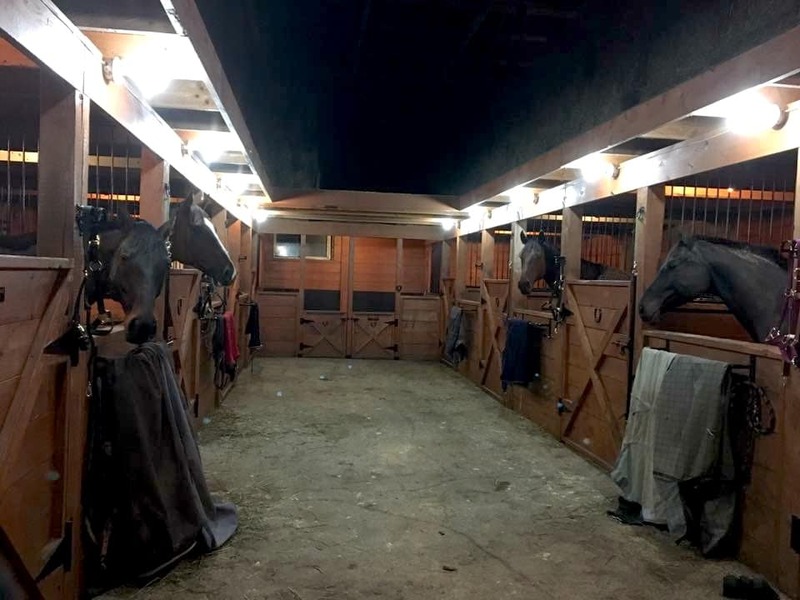 The plan is to have a total of 9 large stalls, 1 extra large/broodmare stall, and the 2 mini stalls, as well as the large tack room, and a separate feed room. There are many plans for the future, and more importantly the new year! Keep checking in for updates and progress as we continue making our dreams come true!